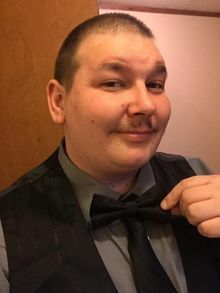 Daniel Joseph Jeske Jr., age 32, known to friends and family as DJ, passed away on March 6, 2019. Born on July 30, 1986 he is survived by his parents Daniel H. Jeske Sr. and Margie L. Deck (Wood) and sister Angela Jeske. He is going preceded in death by his grandparents Troy and Phyllis Wood, Jean Olaughlin and Gilbert "Butch" Jeske. He was a nephew, cousin and good friend to many. He will forever be remembered for his big heart and keen sense of humor. I miss you. My heart breaks for your mother and your other family members. Still can't believe you're gone. Man, you left a hole the size of Texas in each of our heart. My condolences to the family. May you find comfort in your memories and in the love of family and friends. May the God of all comfort bring you peace.2 Thessalonians 2:16-17. My condolences to the Jeske family. May the comfort grant peace to family at this time. Condolences to the family of Daniel Jeske during this time of grief, may the God of comfort grant you peace.